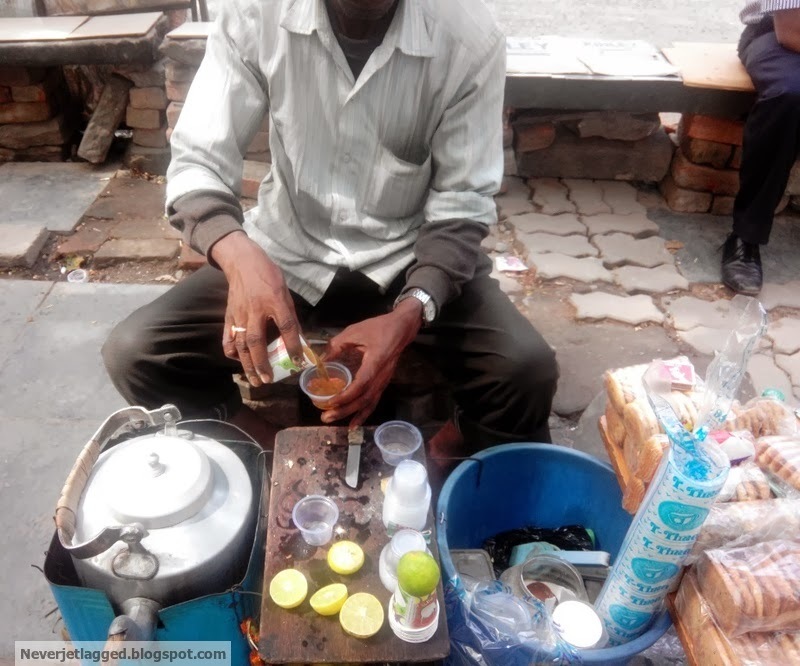 Walking downwards Park Street - Kolkata, this afternoon, I couldn't resist that steaming loving cup of Lebu Cha at i of the street tea vendors (there's i virtually every 200 meters selling this version of the Lemon Tea). 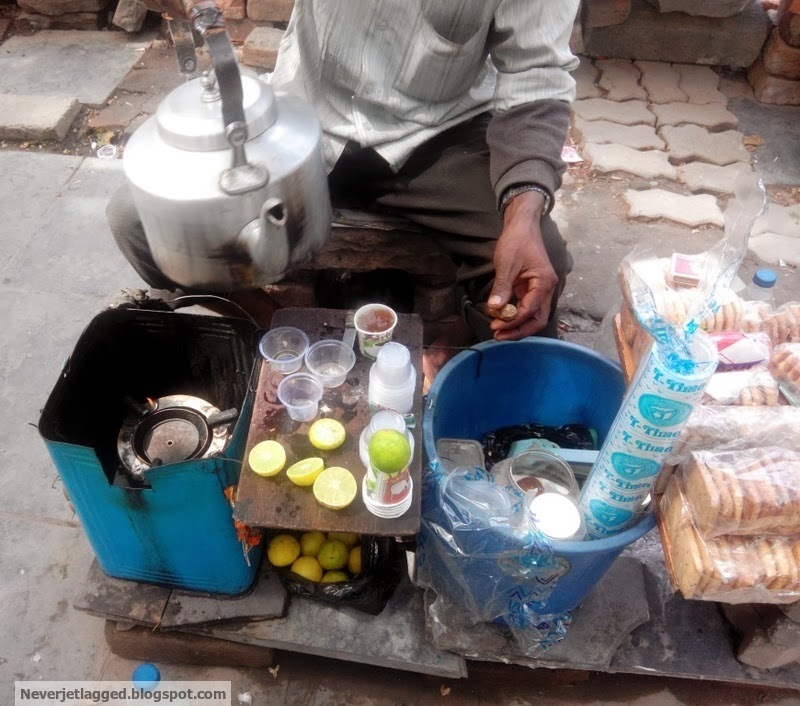 On the buzzing footpath of Park Street, the vendor had the whole develop on a makeshift counter - a Kettle amongst hot tea on what looked similar a portable stove, wedges of lemon together with petty shot spectacles sized newspaper cups. A dash of lemon, a hint of stone common salt together with steaming hot tea poured from the kettle.. the magic potion was ready! 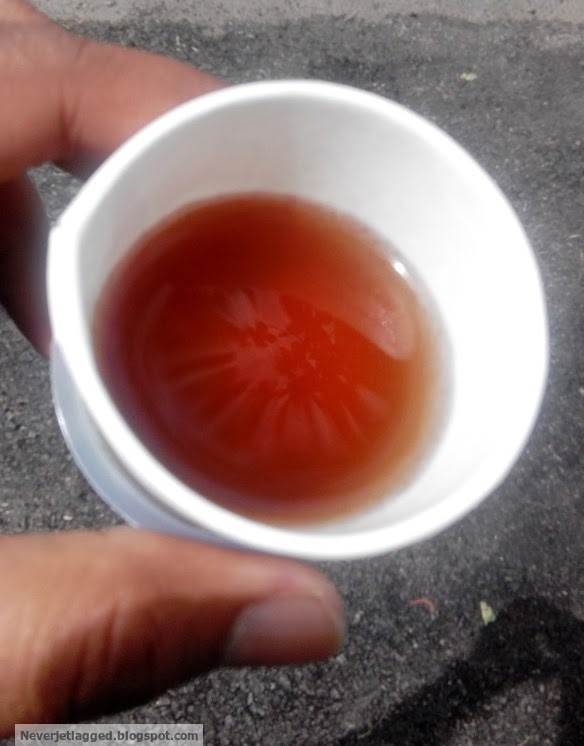 At Rs five a cup, this drinkable tin refresh y'all for the side past times side duo of hours .. together with thence y'all crave for your side past times side cup.. :-) Sip On!